Life in a nutshell: First stop... Ystad, sweden. 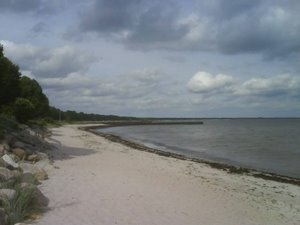 I am going on a journey, to a very exotic place in Denmark, or actually, its an island a bit off shore from sweden, but its a part of denmark. The island is called Bornholm. The island is located to the east of Denmark, the south of Sweden, and the north of Poland. The main industries on the island include fishing, arts and crafts like glass making and pottery using locally worked clay, and dairy farming. Tourism is important during the summer. Strategically located in the Baltic, Bornholm has been a bone of contention usually ruled by Denmark, but also by Lübeck and Sweden. The castle ruin Hammershus on the northwestern tip of the island gives testimony to its strategic importance, as the island is home to the largest fortress in northern Europe.